Are you looking for a cost-effective, high-quality scaffolding? Do you need access to your roof, windows or chimney for a maintenance job? Are you worried about the safety of ladders and in search of the safest option for working at height in Brighton? Ace Scaffolding Brighton supplies and erects scaffolding for residential clients in Brighton. The most common reason that domestic clients hire our scaffold is for maintenance or renovation works on their residential property. It is impractical to complete any type of home construction without a scaffold. Whatever the scale or size of your project, from painting and plastering, cleaning upstairs windows, repairing your roof, converting your loft or renovating your home interior, Ace Scaffolding Brighton will advise you on the best scaffold for the job as well as provide a scaffold that is comfortable and safe for workers. This ensures that work on your building is quick, efficient and safe. All our scaffold materials are made from the highest quality. Safety is our watchword at Ace Scaffolding Brighton. We fulfil every legal requirement of UK legislation for working at height as well as following our own regulations that keep workers safe on the scaffold. When you rent or hire a scaffold from Ace Scaffold, you enjoy the best prices and top quality. Areas we cover in Brighton include Albion Hill, Central Hove, Elm Grove, Coldean, Hove, Hollingdean, Hanover, Mile Oak, Old Town, Preston, West Blachington, St James’s Street, West Hill and other parts of Brighton. We started out working small projects for homeowners. Over time, we have improved our services to include commercial and industrial clients. However, our residential clients will always have a special place in our heart because you are the foundation of Ace Scaffolding Brighton. There is no project that is too small or large for us to handle. We are specialists in working with DIY projects and private clients. Our goal is to provide the safest scaffold for your construction needs at the most competitive price in Brighton. If you need the scaffold for a period longer than four weeks, we are eager to discuss and reduce charges for extra hire. 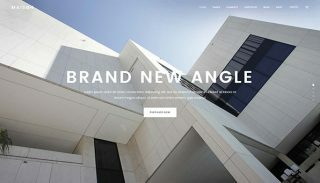 We have built a reputation in Brighton as a company that delivers outstanding design, speedy and efficient assembling of the scaffold, dismantling and full support after you’ve completed your construction work. When you choose Ace Scaffolding, you are working with a team that that is CIBT trained and guaranteed to deliver top-notch service. We also offer a free no obligation quote to all our residential clients in Brighton and its environs. All clients receive the same VIP service from us. We maintain a high level of professionalism that has won over hundreds of clients. This is all shown in the fact that over 80% of our clients are repeat customers and recommendations. Proof of the level of satisfactory service we provide in Brighton. Ace Scaffolding Brighton is committed to maintaining excellent safety standards and quality scaffolding services. Safety regulations in scaffolding are there for a reason. Scaffolding poles themselves could be dangerous when it is not properly installed. You also have workers who’ll be working at height. Only workers who have received comprehensive training on the specific scaffold being erected can install the scaffold or work on it. Conduct a thorough inspection of the scaffold before first use and at least once every week. In the event of any incidence such as a heavy downpour that could endanger the scaffold, we will conduct an inspection on the following day. 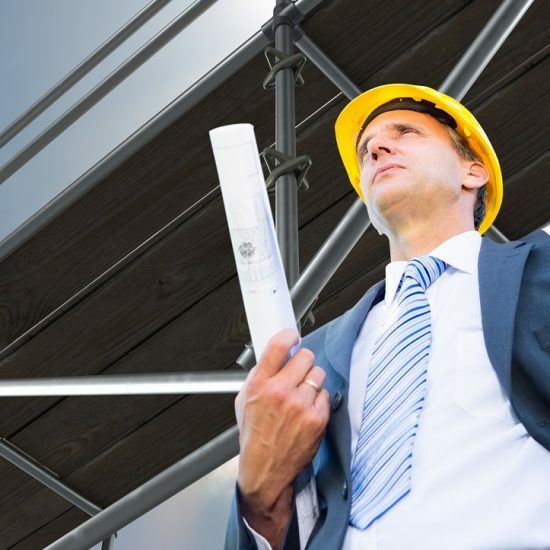 Provide competent supervisors to manage scaffolding teams. Our supervisors hold SSSTS trained and hold a CITB Scaffold Supervisors card. Ace Scaffolding Brighton consistently strives to maintain an excellent health & safety environmental standard. We are CHAS accredited and invest in a directly employed workforce to ensure you only receive the best, who meet our high expectation of first-rate work. With over 20 years of experience in the residential and domestic scaffolding industry, Ace Scaffolding Brighton is pleased to offer a range of scaffolding services for residential purposes in Brighton.Our domestic services are designed to fit your scaffolding requirement with a reliable and qualified team who can advise and support you when necessary. We can deliver a high-quality service that is on time and within your budget.Our CISRS qualified staff handle the assembly and dismantling of the scaffolding system. The goal is to ensure that anyone using the scaffold is safe and secure whilst on the scaffold. You have full peace of mind when using our scaffold because you’re working with a highly trusted and professional scaffold company in Brighton. 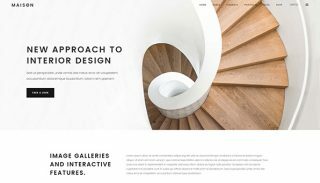 We believe that you should be able to start your project when you want. This is why we are responsive and flexible to your demands. Our scaffolding services have been used for a simple chimney repair to complete home renovations, edge protection and loft conversion. 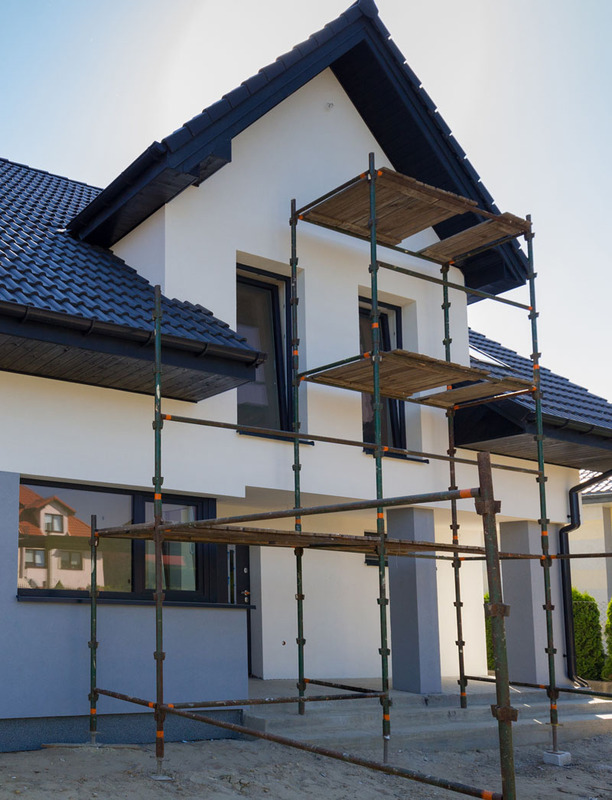 On the rare occasion that something goes wrong with your scaffold, we provide a 24-hour emergency service where we quickly dispatch a licensed scaffolder to your home to solve the problem immediately. Call us: Call us, email or complete the online inquiry form. We will get back to you to arrange an on-site meeting where the residential scaffold will be installed. We will come to you within 24 hours. Quote One of our staff will visit your site, assess the risks, take measurements and create a quote. The quote will include all obstacle removal, pavement licenses, weekly site inspections and anything else that makes up the total sum. This ensures that you know exactly what you’re paying for. Erection: If you’re happy with the quote, we send over a contract. Once you sign it, we agree on a date to come over and install the scaffold for you. There will be weekly site inspections to ensure safety is maintained during the project and inspection reports will be sent to your email. Dismantling: We agree on a date and time to dismantle the scaffold. If you need the scaffold for a longer period, we can arrange that for you. When you’re done with the scaffold, we dismantle it, clear the site of debris, tidy it and hand over the certificate of completion. The major advantage of using scaffolding is that it offers a better height advantage than using a ladder when working from a height. While height and reach might be offered through a ladder, you have to consider that a ladder is angled and doesn’t offer a balanced platform to work from. The worker is torn between worrying about their safety and completing the job on time. With a scaffold, the worker maintains proper balance, has the right PPE gear that ensures safety and performs their work efficiently. The worker is right in front of the part of the structure where they need to work on without any awkward angles. You have several workers working on the same structure at the same time ensuring the work is finished on time. One of the primary reasons why Brighton homeowners prefer scaffolding is that it is the safest option. It is supported by at least four anchor points on the ground. 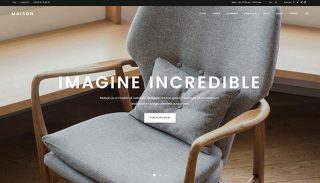 The firm platform enables workers to stand, sit or work from the platform. The handrail on the platform prevents workers from injuries or falling off. Scaffolding lasts for a long time. Steel and aluminium are especially very strong. When properly managed, you can use it for the entire duration of your loft conversion or complete home renovation projects on any part of your property, including new builds. Personalised one on one service. We are always available to answer any questions you might have about our scaffolding services. We get to the root of a problem and deal with issues as it arises. A responsive, professional and receptive workforce that is courteous and polite when working on your residential property. Do I have to be at home when you erect the scaffold? No. We just need to gain access to the part of your residential property that needs scaffolding. How do you get around strangely shaped buildings, steeples and chimney stacks? Scaffolding is more flexible than you think. You simply to need to work with an expert who knows the right materials and products and how to apply them. We have a variety of techniques for getting around difficult areas such as using additional fittings and pieces to access the construction site. Why should I use scaffold instead of ladders? Scaffolding is safer for anyone working at heights. The triangular base or stable square ensures it is more balanced than a ladder that is propped against a wall. You have a wider area to work from instead of a limited area with a ladder. Can I use scaffolding if the ground is sloppy or uneven? You can use scaffolding on a rugged, sloping or uneven ground. Ace Scaffolding Brighton will provide adjustable vertical components that tackle any bumps and lumps. Give us a call to discuss any concerns you have about the type of ground where you want to erect a scaffold. What if the scaffolding damages my roof? Our scaffolding is of the highest standard. 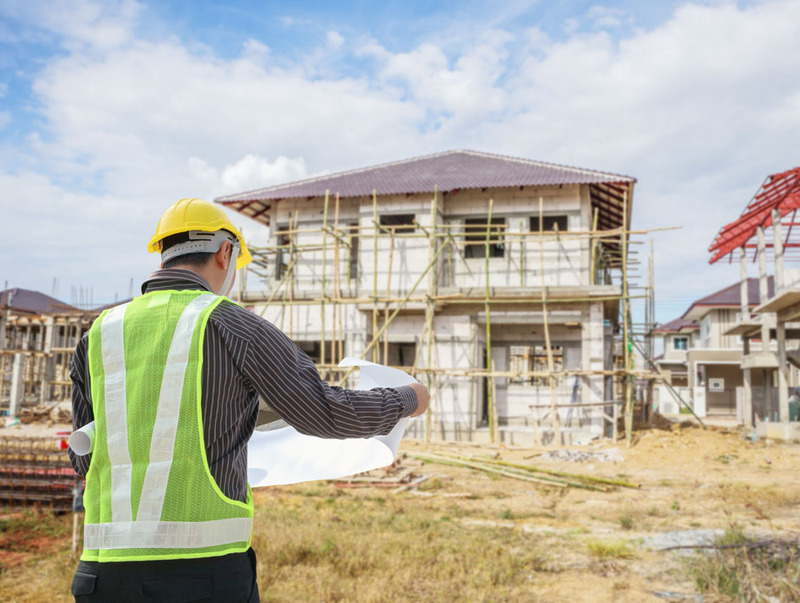 In the rare case that your roof or any part of your property is damaged whilst assembling the scaffold, our insurance takes care of the problem. A reputable company always maintains a professional attitude and is proactive to solve a problem when it comes up. Trust Ace Scaffolding Brighton to take care of your scaffolding needs and property during an installation. How long can I rent a scaffold? The standard period for hiring a scaffold is 4 weeks. If you need the scaffold for an extended period, we are happy to negotiate favourable terms for the remaining weeks or days you need the scaffold or equipment. 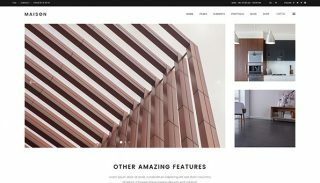 How much does domestic scaffolding cost? There are many factors that affect the cost of hiring a residential scaffold. The length of hire will impact on the price. You will pay more if you exceed the amount in the quote. The higher the scaffolding, the more expensive it will be. The same applies to the number of walking levels. If you’re doing work on your chimney, roof or loft, you need one walking level and lift. If its’ a painting job on your home, you might need several walkways. If you need the scaffold close to a footpath, you have to factor in the cost of applying for a license from Brighton local council. Special requirements such as a pathway, bridging a gap over a conservatory or pathway cost more. If there is no access to a side passage or easy access to the building site, it will also increase the price of the scaffolding hire. Do you need a scaffold inspection? All scaffolds including any working platform for construction work where a person can fall more than 2 metres requires a scaffold inspection. Inspection is carried out by a competent person after installation and before first use. After the initial inspection, the scaffold should be inspected at least once every seven days and after a hazard or any event that could affect the safety of the scaffold such as bad weather has occurred. The level of expertise, knowledge and training of the inspector is based on the complexity, type and use of the scaffolding. Qualifications vary but a widely accepted scale is that the inspector should hold a CISRS Scaffolder or Scaffold inspector card. Is working at height a hazard? The hazards and risk factors affecting working at height include fragile roofs, the vertical distance of a fall, voids, roof lights, sloping roofs, unprotected edges, deteriorating materials, adverse weather conditions and poorly maintained access equipment. Ace Scaffolding Brighton only uses excellent materials in top condition during installation and work on a scaffold. We never send workers onto a scaffold in poor weather conditions and we ensure that the scaffold and structure are safe for workers. At what height do I require scaffolding? In the general industry, the height requirement for scaffolding is 4 feet above a lower level. For construction work, the height requirement is 6 feet above a lower level. All workers 10 feet above a lower level must have fall protection. Ace Scaffolding Brighton chooses the right systems and equipment for the scaffolding installation. We construct and install safety systems to keep workers safe. We also train them on how to use and maintain fall protection systems whilst working from height. Does Ace Scaffolding comply with the requirements for working at height? Work at height means working from a place where a worker could fall from a distance if precautions are not taken. It entails working above ground level where you could fall from ground level into an opening in the ground, opening in the floor or fall from an edge through a fragile surface. We only use high-quality material that is inspected and well maintained. Is scaffolding from Ace Brighton Scaffolding safe? Workers go through regular risk assessment training to learn how to identify and handle hazards from working on a scaffold. Scaffolding will be thoroughly inspected by competent and experienced personnel. 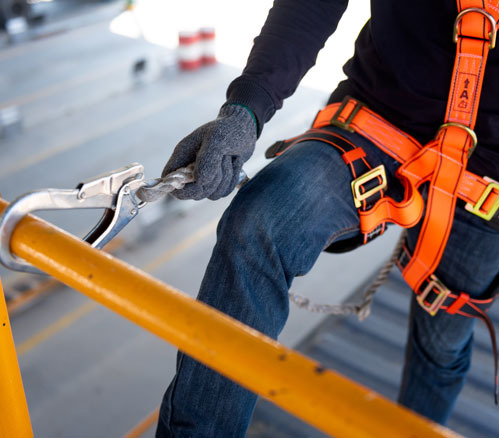 Workers are supplied with protective gear including safety harness worn and connected to an anchor point. We assess the risk to workers, your building and the scaffolding before design to ensure it is safe when installed and used. When working with scaffolding around any overhead electrical lines, we take measures to ensure the power lines are insulated or de-energised by the power company. Employees do not work with scaffolds when they are covered with ice, snow or any slippery material. Building a scaffold in Brighton could present risks to employees. Some of these risks can be life-threatening and could lead to death even when the following HSE work at height rules. Falls from an elevated height is the major risk of scaffolding. A second hazard is unsecured planking when the plank isn’t well secured and causing the worker to fall. It could also break if the plank is in poor shape or overloaded. A worker could be struck by falling debris or tools from a higher level if they do not use guardrails. Workers shouldn’t work too close to power lines because electrocution is a major risk when using scaffolds. Are scaffolding tags a legal requirement? It is not a legal requirement to use scafftags but using it to supplement inspection records is a way to record that you checked the scaffold before use. 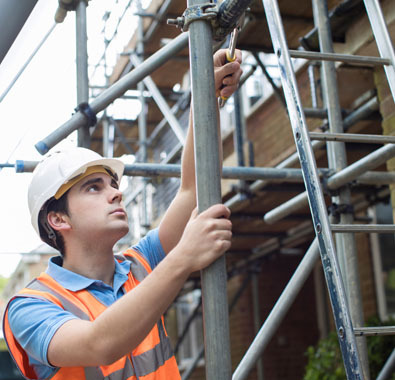 UK laws require inspection of scaffolding where a person might fall 2 metres or more. A visible tag system ensures that those who use the scaffolding know that it is inspected and safe to use. How much weight can a scaffold hold? The three main types of scaffold loads include light duty scaffolds (120kg per square metre), medium duty (240kg per square metre) and heavy duty scaffolds (240kg per square metre). The load capacity of a scaffold can be 4x the minimal base width (ratio of 4:1). For instance, a scaffolding with a base width of 6 meters will have a height of 24 meters. Scaffolding that is greater than 125 feet above base plates can only be designed by a qualified person. The scaffold and its components should support its weight and four times the intended load. You must include the total weight of persons who will use the scaffold, tools, equipment, transmitted loads and other loads that will be applied to the scaffold at any time. Is Ace scaffolding Brighton insured? Yes. We are fully insured to the value of £5 million for public liability and £10 million for employer’s liability. All scaffolders at Ace Scaffolding Brighton carry The Construction Industry Scaffolders Record Scheme (CISRS) card. It is the required qualification for individuals working within the scaffolding and access sector in the UK. 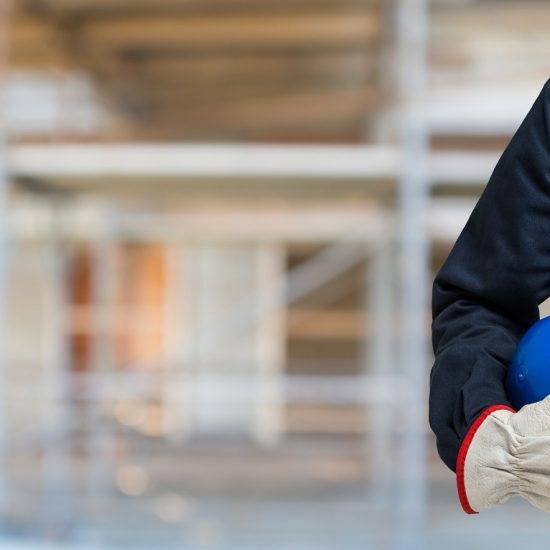 Our Brighton contractors are qualified, and those in training are supervised by competent personnel. Everyone working on the job has received training specific to the job they are working on. What does an Ace scaffolder do? Steel scaffolding is the primary option for residential buildings in Brighton. It is made from steel tubes set jointly by couplers or steel fittings. It has greater durability, robustness, superior fire resistance, is easy to erect, dismantle and provides the best safety for workers. Trestle scaffolding is used for heights not more than 5 metres. It is used for residential jobs such as paintings, repairs and interior construction work. Patented scaffolding is made from steel but fitted with special frames and couplings. Suspended scaffolding is used for repair works, paintings and other similar maintenance work. It is suspended with the support of wire ropes and chains. It can be lifted to the desired level whilst the working platform is suspended from roofs. Kwikstage scaffolding is made from hard wearing galvanized steel. It is easy to erect and dismantle. It is useful for any type of residential scaffolding and can be built to your desired height. Single scaffolding is used for brick masonry and consists of ledgers, standards, putlogs and more. Double scaffolding is used for stone masonry. Two rows of scaffolding are built to make the holes in the walls stronger. In cantilever scaffolding, standards are supported on needles taken out through holes in the walls. It is used where the upper part of the wall is under construction or the ground cannot support standards. Residential scaffolding is used in a domestic or residential building. It includes scaffolding for home extension projects, loft conversion, painting, roofing, chimney, soffits and fascia, new build property and building maintenance. Ace Scaffolding Brighton has the experience to install any type of scaffolding for your residential property in Brighton and its environs. We work with private homeowners and small builders. 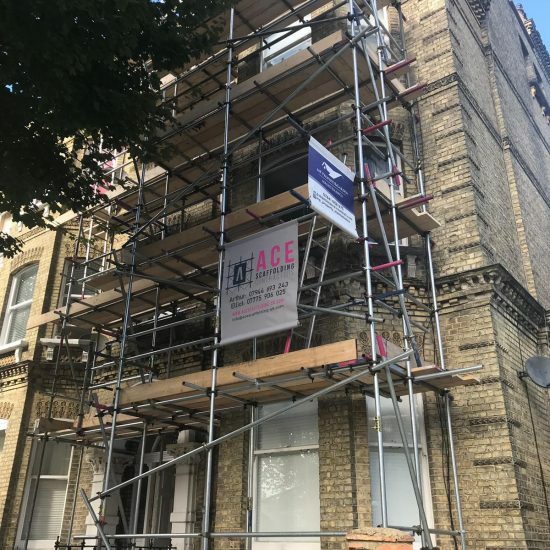 Ace Scaffolding offers Scaffolding Hire for Residential Projects in Brighton, which is located in South East England, and a large town in the county of East Sussex. 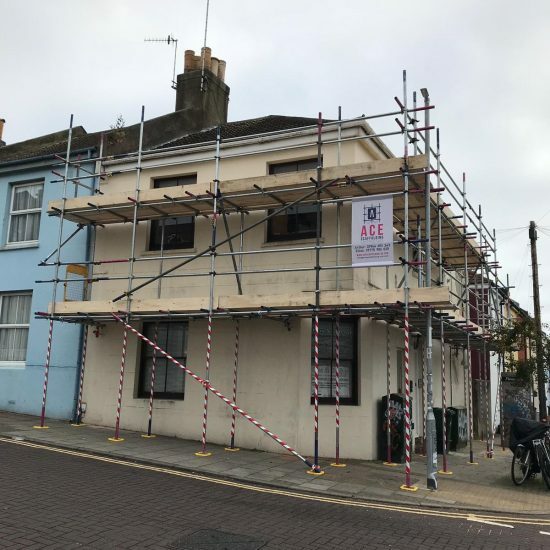 Hollingdean, Hove, Mile Oak, Moulsecoomb and Hollingbury are also part of Ace Scaffolding’s Scaffolding Hire for Residential Projects area in the City of Brighton and Hove. 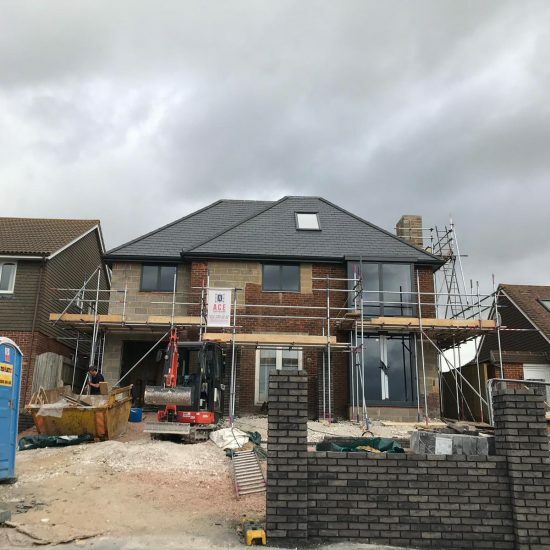 In conclusion, Ace Scaffolding’s Scaffolding Hire for Residential Projects also cover the Brighton Municipality which includes Stanmer, Brighton Marina and Bear Road area.